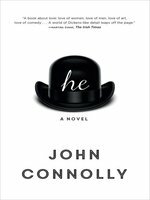 John Connolly conjures the Golden Age of Hollywood in this moving, literary portrait of Laurel & Hardy—two men who found their true selves in a comedic partnership. An unforgettable testament to the redemptive power of love, as experienced by one of the twentieth century's greatest performers. When Stan Laurel is paired with Oliver Hardy, affectionately known as Babe, the history of comedy—not to mention their personal and professional lives—is altered forever. Yet Laurel's simple screen persona masks a complex human being, one who endures rejection and intense loss; who struggles to build a character from the dying stages of vaudeville to the seedy and often volatile movie studios of Los Angeles in the early years of cinema; and who is haunted by the figure of another comic genius, the brilliant, driven, and cruel Charlie Chaplin. Eventually, Laurel becomes one of the greatest screen comedians the world has ever known: a man who enjoys both adoration and humiliation; who loves, and is loved in turn; who betrays, and is betrayed; who never seeks to cause pain to anyone else, yet leaves a trail of affairs and broken marriages in his wake. But Laurel's life is ultimately defined by one relationship of such astonishing tenderness and devotion that only death could sever this profound connection: his love for Babe. John Connolly is author of the Charlie Parker mysteries, The Book of Lost Things, the Samuel Johnson novels for young adults and, with his partner, Jennifer Ridyard, the co-author of the Chronicles of the Invaders. He debut, Every Dead Thing, swiftly launched him into the top rank of thriller writers, and all his subsequent novels have been Sunday Times bestsellers. He was the first non-American writer to win the US Shamus award, and the first Irish writer to be awarded the Edgar by the Mystery Writers of America. The life and art of Stan Laurel, from vaudeville and silent movies to the talkies and old age, is explored in this artful novel.It's easy to see what doesn't quite work in this retelling of Laurel's life. Connolly (A Game of Ghosts, 2017, etc.) has made his name as a crime writer, and at times the blunt, spare, deliberately repetitive prose seems like a self-conscious attempt to be literary on the part of someone concerned about being snobbishly dismissed as a genre writer. At times, Connolly reaches for lyricism and finds only sentimentality. At times he employs a too-easy psychoanalyzing that reduces characters--and which stands out in a novel that insists on the complexity of humans and their motives. But the flaws are finally no match for the affection that the author feels for his subject, for the genuine melancholy that wells up as Laurel remembers his past from the comfort of the small apartment in Santa Monica where he spent his last years and for the intelligence and decency with which Connolly handles potentially salacious material. The Stan Laurel we know from the screen, that gentle, befuddled soul, was different from the man who made bad marriages and for many years sought refuge from the pain of those marriages in booze. The book is too smart to use that gap between public persona and private life to treat Laurel's art as if it were a lie. Almost all the characters here are based on real people, and even the genuine bastards are granted the status of full human beings. Oliver Hardy, known to all as Babe, is granted considerably more, and he comes across as a mountainous angel of a man. The book's great love story is that of Laurel mourning and yearning for his late partner, still writing routines for the two of them, rehearsing them by himself. It's the best tribute to this novel that by the end of it you feel you have been given the full texture of a life.This exploration of how art often diverges from the reality of the artist's life is not only moving, but also bracingly adult.